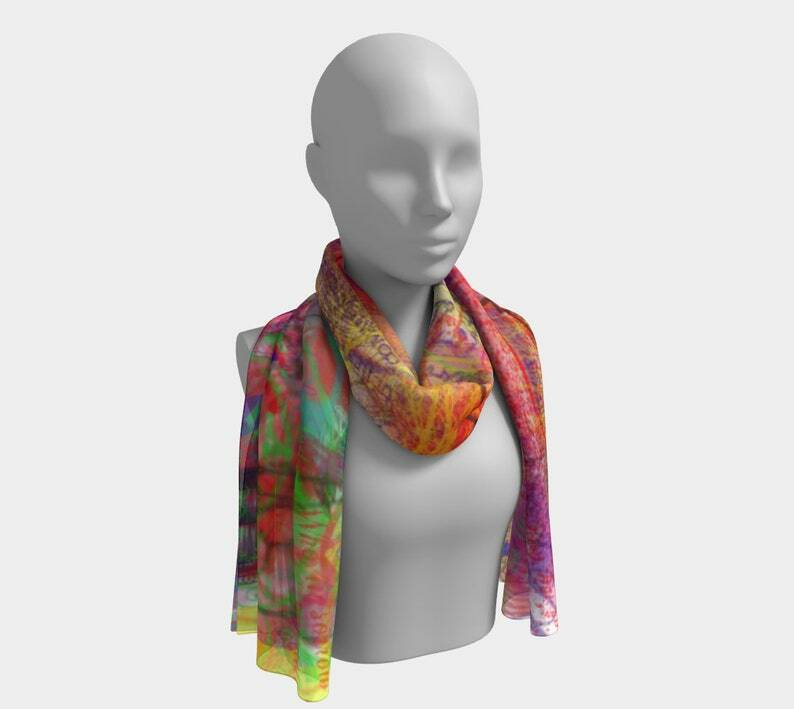 LONG SCARVES: 10" x 45" or 16" x 72"
Lightweight and Soft long neck scarf to wear any time of year, great for dressing up any outfit, tucking into a blouse or wearing to cover your head, keep your hair away or for an elegant evening out. Pair with jeans, a little jacket and a simple top to brighten any outfit. A lovely wedding scarf for bride gift or Mother of the Bride or Groom. Teachers, Moms, Wives, Girlfriends love these as gifts. Mother's Day, Birthdays, don't forget Grandma! This is a custom made item with my artwork, created when you order it. Once the order is placed, manufacturing begins and each item is made to order. Monitors vary and each item is handmade so variations can occur. The items are Canadian made with attention to detail and environmentally friendly products. Art meets Fashion through creativity and passion.